This is part two of a two part article on Home Valuations. If you have not read Part 1 -- we strongly recommend that you click this link to get caught up Getting Your Homes Accurate Value. In the previous article, we discussed how websites such as Zillow create home valuations and touched on some of the challenges of using an AVM (Automated Valuation Model) for getting your home’s value. In this article, we will cover how appraisals are done and some of your other valuation options. Who Has The Real Estate Data? As we discussed in the previous article, the local MLS (Multiple Listing Service) is by far the most accurate resource when looking at what homes are currently for sale and the details of the recently sold homes. This is the same exact information that appraisers use when they value a home. In some rare instances, appraisers (and real estate agents alike) may use some Clerk of Court records if they need to – but as we discussed in the previous article, the Clerk of Court generally have very limited data and requires that the appraiser do additional work to (such as call the seller) to get some of the more pertinent data points such as number of bedrooms, number of bathrooms, square footage of the living area and so on. At the end of the day, its impossible to get a Your Home’s Value without access to the MLS. In almost every single instance in which a single family property is being valued, the appraiser chooses “The Sale Comparison Approach”. The Sales Comparison Approach uses 3 Active Properties and 3 Sold properties and of course, the subject property. The appraiser will then make “Adjustments” to the “Comps” or comparable to bring the value of the comp to the subject. For instance, if the subject property has 2 ½ baths and one of the comps has 3 baths, then the appraiser will subtract value (from the sold price) of the comp to get it as equal to the value of the subject as possible. Once the comps have been adjusted, the appraiser will take into consideration the local real estate market to ascertain if the values would have increased or decreased because of time. There is quite a bit of work that goes into a true appraisal, but most of it is imposed because of government regulation and doesn’t have much to do with how they come up with a value. At the end of the day, an appraisal is simply a licensed appraisers “Opinion of Value” of that property. Please keep in mind that an appraisal that is over 6 months old has very limited value. Since the “sold comps” they use are aged themselves, an appraisal that was completed 1 year ago may be looking at sold comps that sold 18 months ago! In most instances, the real estate market has changed quite significantly in the last 18 months – so the appraisal serves little purpose. A CMA is short for a Comparative Market Analysis. A CMA is usually completed by a licensed real estate professional using only the Sales Comparison Approach. A CMA is what is received when a home owner requests a valuation of their property from a licensed real estate agent or broker. 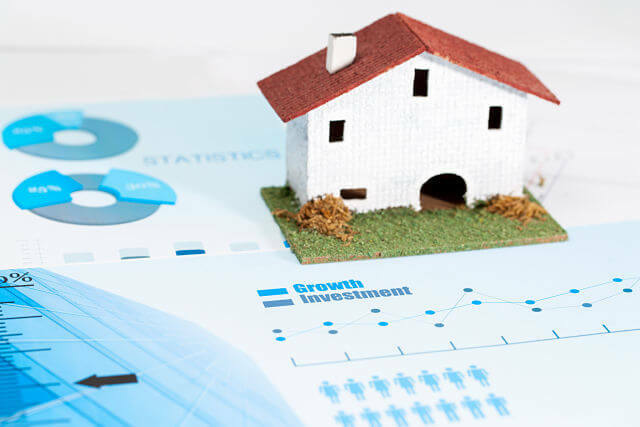 Most good real estate agents will follow the exact same procedure, using the same data as a licensed appraiser to come up with the home’s valuation. The difference is the final document is not an appraisal, because it was not completed by a licensed appraiser. A BPO is a Broker Price Opinion and also follows the same systematic approach but is a paid service requested from a bank, lending institution or other entity that may have a financial interest in the property. You have many options in getting your home’s value. Which option you choose, depends on what the purpose of the valuation is. In most instances, AVMs can provide something to go by when trying to get your homes value, but should not be something that you stand by. If you are purchasing your home, because most home mortgages are federally insured, they will require a recent appraisal. Anyone can order an appraisal, but because they have a cost, it may not be the most efficient way to get your homes accurate value. The CMA is by far the most cost effective and convent way to see what your home is worth. Because quality real estate professionals use the same process as an a appraiser, using the same exact data that an appraiser uses, a CMA is usually the best route for getting your home’s value. If you want a professional CMA completed, you can contact one of the professional Real Estate Agents at Elevate Realty Group by clicking here.